We headed back to Sussex for Christmas today, stopping off in the village of Fittleworth en-route. The purpose of this detour was to deliver our entries for the Independent Goodwood Photographers Guild photo competition. As the winner of last year's competition I had to put something in to defend my title! The competition's master of ceremonies, Mark, is Head Gardener at Fittleworth House so while we were there he offered us the opportunity to take a quick tour of the gardens. 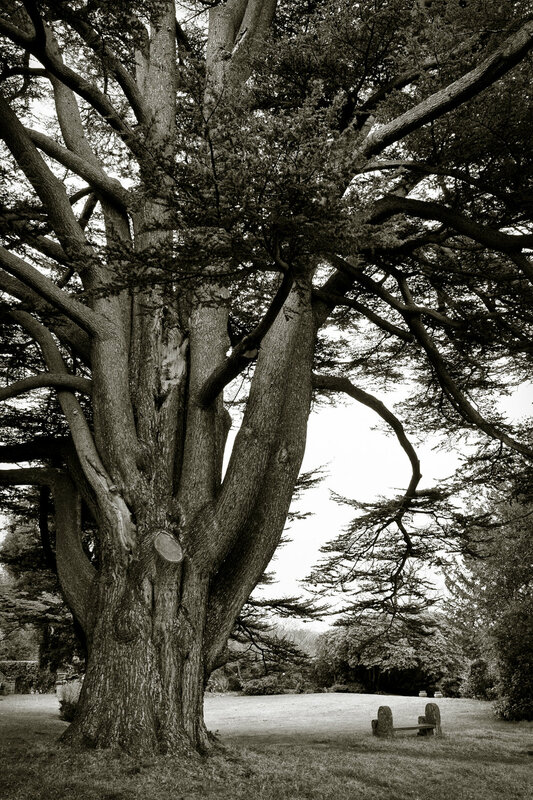 Naturally, the garden is fairly dormant at the moment but we were awe struck by this 280 year old Cedar of Lebanon. Miraculously it survived the great storm in 1987 when a large number of trees in the neighbouring field were toppled. One can only imagine the stories it must have to tell!